Star Beauty projector could produce the spangled stars all over the night sky, creating the most romantic atmosphere for you. Full starry night sky projection on ceiling, to help you sleep easier by soothing their sense of sight;. Running Night Light is a new fashion device that liberates both of your hands and Armband. Function: Night walking,Running,Camping,play,Work etc. 3 pcs of 0.5W LED white lights to shine your path 1 red&blue side warning light to secure you during night events. Say hello to the Kitten, an adorable night lamp. It stays by your side and brings brightness, warmth and happiness to you. There are two ways to interact with Kitten. Touch it, feel it, and have fun with it! Light Color: White. It can be used as a collection. Wonderful childhood needs the cute toys and Nightlight. SAFETY 1ST. AUTO SENSOR NIGHTLIGHT. 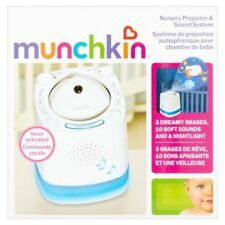 Nightlight is cool to the touch when in use so it's safe for baby or toddlers room. Auto Sensor Nightlight. Stays cool to the Touch. The PurFlo Dream Cloud Musical Night Light is a calming battery powered multi-coloured night light with soothing sounds to help your baby fall asleep. 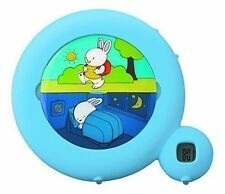 ThePurFlo Dream Cloud Musical Night Light is a calming battery powered multi-coloured night light with soothing sounds to help your baby fall asleep. For sale is a Lite Pals PJ Masks Soft Lite nightlight featuring Catboy. It is new in the manufacturer’s original packaging. I have lots of other items for sale as well. I ship nearly every day. I do my best to get your items to you quickly and I feel my feedback reflects that. If you need your nightlight in a hurry, I'm your girl! Thanks for looking. Official Trolls Star&Moon Night Light Lamp,Colour Changing Projection . Trolls Poppy "Dreamworks Colour Changing Projection Night Light Lamp Bedroom Poppy Star & Moon. 2- Attractive Trolls ,DJ Socky & Guy Diamond features on the lamp. Projecting Star & Moon On Ceiling. Item: Winnie the Pooh - Love ❤️ Love Series Electric Planetarium. This item projects a fun Winnie the Pooh image (see pic 3) onto your walls at night! Our first product to combine both sight and sound features, Tranquil Turtle will transform your child's room into a peaceful oasis. Winner of Infant Toy of the Year Award and the National Parenting Center Seal of Approval, Tranquil Turtle is a great solution for kids who are afraid of the dark. This is an adorable “New” rare, and hard to find, 1996 musical light-up “Bumpkins Bumpinville” collectible (3) pc “Choo Choo Train” bank made by “Cast Art Industries”! (#01037) The “Bumkins” are collectible creations of mother and son artists Arline and Tim Fabrizio. Cloud B Twilight Turtle - Blue Twilight Turtle is a plush toy that transforms any room into a starry night sky to help comfort children to sleep. Twilight Turtle's shell illuminates to help ease children's fear of the dark. Blue Plush. Eases fear of the dark. Cloud B Twilight Ladybug - Pink Float away in peaceful slumber under a beautiful star-filled sky. Stars and Ladybug shell illuminate in three magical colors to help children sleep easier. 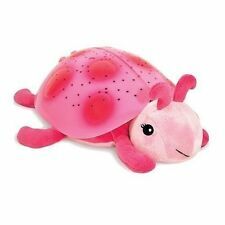 Cloud b Twilight Ladybug Pink Plush Nightlight Projector. Nightlight is cool to the touch when in use so it's safe for baby's room too! Nightlight is cool to touch when in use, so it's safe for use in baby's room. Auto-sensor design turns on and off based on the presence of light. "Peppa Pig " Night Light. THIS IS NOT A TOY. · Ideal to use in. 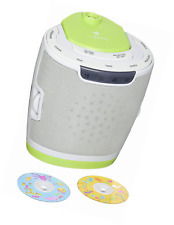 Serenity Star Sound Machine System Baby Nursery Décor Aden Anais MSRP $89.99. Condition is New. Shipped with USPS Priority Mail. LED Shoe Lights With 3 White Light For Night And Early Morning Running Jogging Hiking Cycling Walking. Running Night Light is a new fashion device that liberates both of your hands and Armband. Function: Night walking,Running,Camping,play,Work etc. Excellent working condition. Includes original ac power adapter. It’s in the original box. 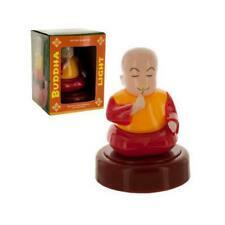 Great gift for your children, friend or yourself. 1 X led night lights(NOT include Battery ). Sort through five different stories by squeezing Huxley’s left foot, and to play and pause a story, simply squeeze Huxley’s right foot. Kids can also follow along with an illustrated storybook written just for Huxley, and they’ll love snuggling up to their cuddly friend for a good night’s sleep. IKEA Smila Mane Moonlight Night Light Nursery Kids Decor. Shipped with USPS Parcel Select Ground. 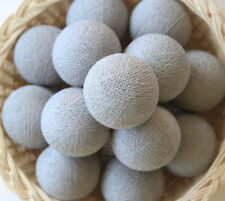 For you childs room or baby nursery. it is against the law. Choose sounds, projection, lights or all combined. -soothing scenes calm baby. Color changing light display. Projects image on ceiling. 10 soothing sounds and lullabies. Mounts in crib or stands alone. OFFICIAL AUTHORIZED RETAILER - 100% AUTHENTIC! product description This cute and comforting little beetle offers the same calming effect as our original Twilight Turtle. It lights the way to a good night's sleep with a starry projection in sapphire blue, emerald, or ruby red. Features: Cuddly companion projects a starry night sky Eases fear of the dark Projects actual star constellations Light timer and features: 45 minute timer ensures complete darkness during child's deep sleep, recommended by pediatricians Projects in 3 soothing color options: blue, green and red Star guide included to help identify constellations Requires 3 AAA batteries; batteries are included Dimensions: Retail box dimensions: 4.5" x 8.5" x 10.5"
Option to automatically morph through all 3 colors. Eases fear of the dark. Projects in 3 soothing color options: blue, green, and amber.